Is it possible to have peace in an uncertain world? To not only expect the unexpected but embrace it? Most of us want to have life under control. But God wants us to anticipate the unexpected with a faith deeply rooted in his goodness. He wants us to know that because he is in control, we don’t have to be. 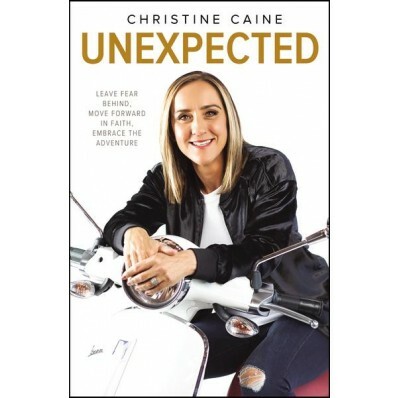 In Unexpected, beloved author Christine Caine helps us walk into the life God has for us—unknowns and all. Using dramatic examples from her own journey, Christine offers real-life strategies and biblical inspiration to help us move from fear and worry about ourselves to hope and trust in God. As we learn new ways to manage disappointment, strengthen our hearts, and build our faith, we can enjoy a new adventure with God that is more fulfilling than any day we spend trying to anticipate what will happen next.